A study of the complex relationship between technological development and the conceptual basis of architectural design, from World War II to early 1990s. In Tower and Office, Spanish architects Inaki Abalos and Juan Herreros look at the role and impact of advanced building technologies in American architecture since World War II. The war, they claim, marked the end of the first cycle of modernism, challenging the belief that technological progress alone could produce a perpetually better future. At the same time, the war was the source of powerful new structural models and construction methods. The authors examine the ways these technologies have been inflected over the last half century by more subjective and integrated processes of spatial organization. In the first part of the book, Abalos and Herreros focus on the work of Le Corbusier, revealing the degree of complexity achieved in his interpretation of the modern skyscraper. In the second part, they look at the intersection of technical and cultural determinants in the design of high-rise structures since World War II. Among the issues they consider are the evolution of the load-bearing frame, the impact of high-tech systems on tall buildings, and the transparent building skin. In the third part, they address developments in office design and planning, tracing an evolution from the repetitive and homogeneous office skyscraper to the present-day mixed-use structure. 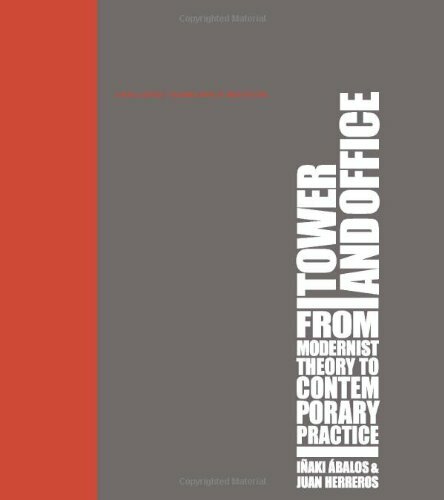 Overall they demonstrate how the objective technical analysis associated with modernist architectural theory has given way in recent building practice to a variety of flexible, pragmatic, and environmental approaches. These, they suggest, have opened the way to new urban and architectural forms.